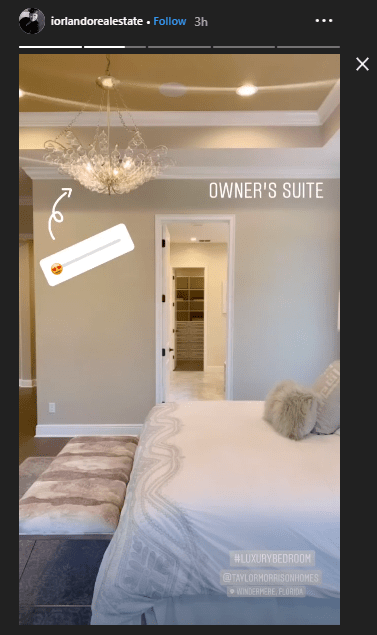 Your fellow realtors, your clients, almost everyone around you was on Instagram, either looking at, seriously shopping for or actively marketing and selling houses, so you thought you’d give it a try. So you create an account, and ask friends and family to connect or join in. New users often post pictures randomly, with no strategy or much thought. You probably haven’t gathered more than 1000 followers, and get barely any engagement (your mother’s thumbs-up on every post doesn’t count). But even this weak level of Instagram marketing costs you time and mental energy you could be using for other things, not to mention the space on your phone’s memory. After weeks and months of no real progress, you might be considering either closing it down and going back to focusing on traditional ways of finding clients — or trying harder to make Instagram work for you. Since you’re here, we’ll assume you’ve decided to make a go of it. Excellent decision. 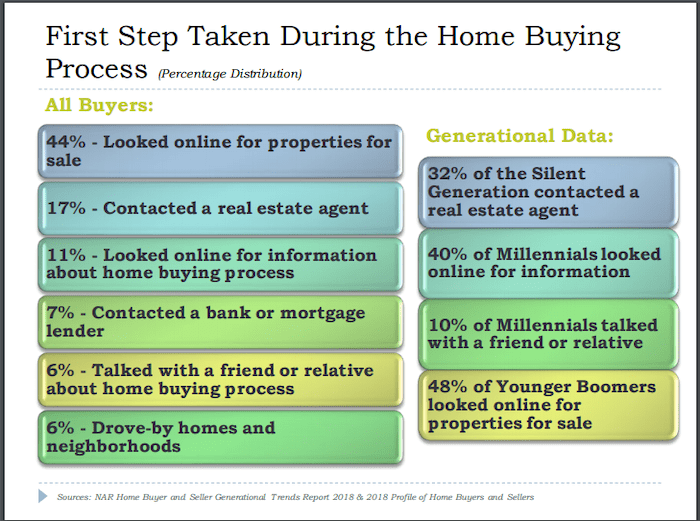 44% of homebuyers use the internet to look for properties first. Prospective home-buyers will mostly end up at Zillow, Trulia, Redfin or even your rival’s website, based on what they find online. To have them come to you instead, you’ve got to go to where they hang out and woo them. Only 14% of realtors are on Instagram, yet 65% of millennials, the largest group of first-time homebuyers, use this platform daily. Instagram is a results-oriented marketing- and lead-generating tool, but it only works if you’re super-strategic about every step you take. Let’s get your Instagram marketing strategy up-and-running. To make this process easier for you, we’ve outlined our best tips and tricks that will get you on the road to leads, money, and fame through Instagram. 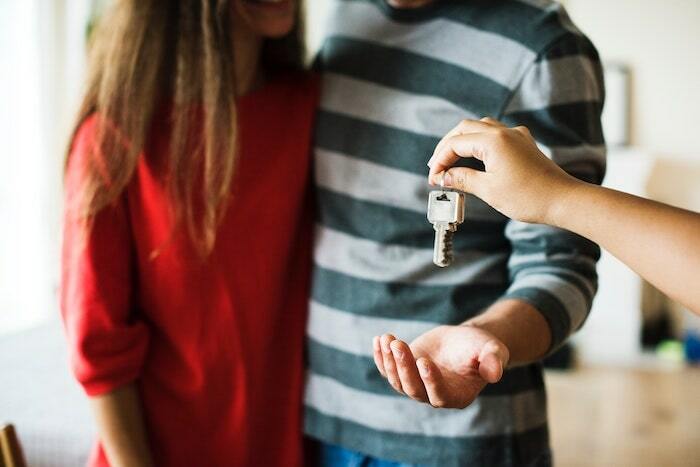 Real estate agents commonly have two types of goals on their radar — the financial, such as the number of properties listed each month, or annual sales and commission targets, and the practical, which include day-to-day goals, such as appointments, meetings, open houses, etc. So you need to have targeted marketing become part of your practical goals. Don’t just jump on the Instagram bandwagon because 100 articles say it’s great, engage with Instagram because you have a clear goal in mind for your real estate business, and this unique platform can help you reach that goal in amazing ways. Your goal could be something as simple as creating an intentional online footprint for your business and testing the social waters, or something a little more structured, such as generating qualified leads for your business. 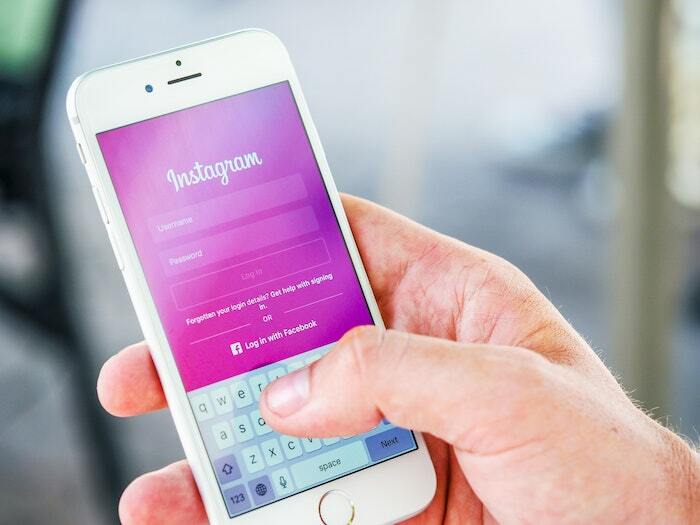 What kind of leads might you expect to get through Instagram? So before you go any further, specify which kind of leads you’re looking to target and outline your marketing goals. Then get even more specific. What kind of property is your ideal lead wanting to sell or buy — Luxury homes? Homes in specific school district zones? Homes in a certain price range? Make sure your post captions occasionally mention your target audience, your target property descriptors, and your area, and include them in your bio to attract the right audience. A slightly sensational bio, like Chad’s, will do nicely if fancy’s your vibe. Or something as simple and to-the-point as Ian’s. Your posts, your captions, hashtags… everything should be tailored according to your goals and target audience, so be very clear on them. So you’ve set up a succinct, well-targeted profile and you’ve started posting high-quality pictures. But without the right captions, hashtags and geotags, your posts will drown in a sea of other real estate content. Draw people in with tempting words that tug at their hearts and make them envision how it’d be to live at that house. Infuse your personality in your posts. It’s uniquely you and will give you an edge in the real estate niche, also helping you establish your brand voice. How? One of the best ways to write heartwarming captions is by creating a story. Incorporate your clients and link together those special, unique-but-universal moments in house-hunting. Stories build a real connection with followers. This is why everyone I know is hooked on to HGTV’s real estate shows. They use narratives (a couple looking for their dream house or to successfully flip another stepping stone in their investment career) to evoke emotions in their viewers and sell their advertising slots. Describe the would-be life of the family who’d live in the new listing you’ve put up. Mention extra perks that sweeten the deal, like maybe everyone’s favorite coffee house is right at the corner. Show how you helped that great couple find the perfect house for them. Add something about the dog or cute baby, and you’ve got a winning caption. Share funny stories of people you’ve met while working as a real estate agent. Reveal your own experiences and life story. With so, so many houses and realtors on Instagram, people aren’t going to DM you and ask for details about that particular house you posted last night. If you don’t give enough information about listings you put up, shoppers are just going to scroll past. Add as much description you can — location, amenities, neighborhood, number of rooms and bathrooms, descriptions of each, price, year it was built, etc. Don’t make the caption too long-winded (nobody’s going to read through several lengthy paragraphs), but add everything in easy-to-read points. 🅹🆄🆂🆃 🅻🅸🆂🆃🅴🅳 📍6700 North Ocean Boulevard, Ocean Ridge 3 Beds | 2.1 Baths | 2,983 SF Listed by Nicholas Malinosky for $995,000✨ . . . . . Newly renovated and priced to sell 6700 North Ocean Boulevard, Ocean Ridge represents a great opportunity to experience luxury living in the beach area. Situated across from the ocean, the parcel offers an exceptional elevation with 135 feet of frontage on North Ocean Boulevard for abundant privacy and spacious front yard. Light and bright with clean lines, the three bedroom floor plan flows effortlessly from room to room with glass sliders throughout for showcasing the tranquil courtyard pool and patio. Recent renovations and upgrades include fresh paint, new kitchen, new baths and more. Residents of McCormick Mile are invited to join the voluntary Homeowner’s Association with access to the private beach house overlooking the ocean for seaside entertaining. Beach area living awaits! Hashtags make it easier for real estate agents to attract new audiences and engage with them. An Instagram post with at least one hashtag averages 12.6% more engagement than a post with none. However, you need to add hashtags that your audience actively searches for. Not generic, useless ones like #goodday or #lovesunshine. 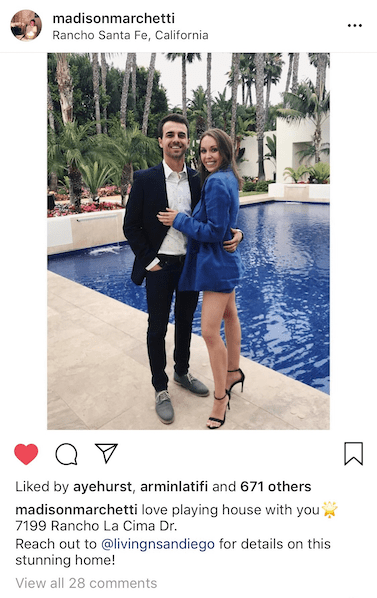 Our 2019 Instagram Hashtag Guide is a great starting point for real estate agents who’re serious about amping up their Instagram presence and engagement. 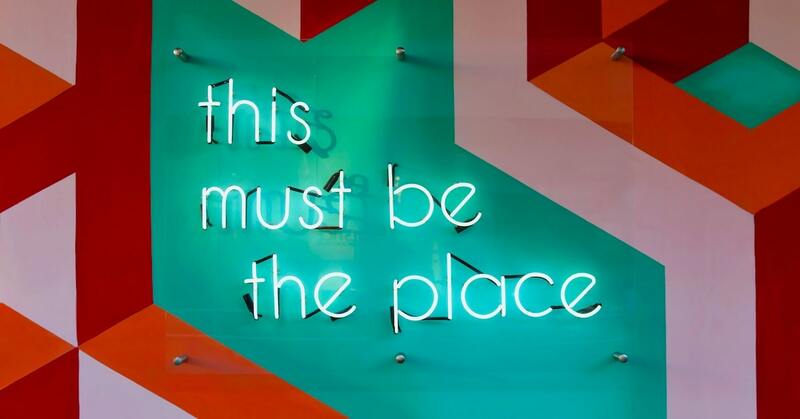 If you don’t have time to go through the guide and find the best possible hashtags to use right now, here’s a list of popular real estate tags via The Ashby and Graff Advantage. You should also use #(yourarea) – e.g. #wisconsin or #appleton, and optionally, your brand name – #xyzrealtor. 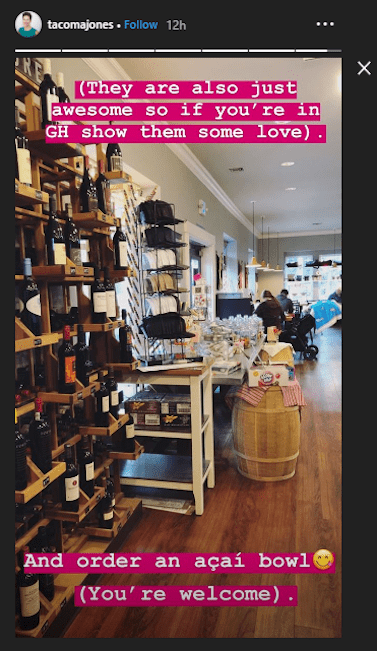 The Instagram geotag feature makes connecting with locals in your area an easy breezy process, especially handy if you’re posting a house listing and would like to attract people living nearby. Simply add the area while posting your picture, and when people search for that, your post will immediately pop up. Recent studies have shown that posts with geotags get up to 79% more engagement. The tag also tells interested people where a pretty house is at one glance. This one’s in Scarsdale, New York. This is where it gets a little tricky. Your Instagram profile isn’t just your real estate portfolio — it’s a digital representation of your brand. Putting up random property pictures with an occasional personal anecdote added whenever mood strikes just isn’t going to cut it. You need to follow a proper posting strategy depending on your target audience, your marketing goals and your profile’s popularity. Post excellent-quality pictures and videos, as a survey found 83% of homebuyers want photos of the property to be available online. These pictures and videos will directly represent you and your brand, and you don’t want your target audience to associate horrible-quality posts with either. To show that you’re a professional, successful realtor, you need to take crisp, quality visuals. The better the picture is, the more people it will attract, and isn’t that what every realtor wants? No stock photos. Don’t use the same photo from your website or newspaper listing, either. And no more posting pictures in landscape orientation. Instagram mobile users have now crossed the 1-billion mark, and you need to make sure your pictures are optimized for them. Don’t just limit yourself to photos; create fun videos and post them, too. Make videos of open houses, give house tours, show clients’ reactions, answer questions or simply create a couple of fun GIFs and post those. Give your audience a variety of visuals to entertain and educate them. Now, about that sales funnel, narrowing from casual interactions with as many users as possible to those precious lucrative leads. You’ve just started either your Instagram page or your real estate business and your core goal is to attract people towards your profile, get maximum followers and let people know you’re in the business. The following types of posts will help you attract new leads if you’re at the top of the funnel. Interesting facts and cool, undiscovered or underrated places in your area. This will broaden your audience base (because you never know when someone knows someone whose aunt’s neighbor is looking for a house in your area). Become your area’s digital mayor and show the online world that you know your neighborhood better than anybody else. Sneak peek some interesting tidbits of new listings — cute corners or interesting back stories (if it’s an old house, share cool facts about people who built it or lived there, etc.). Don’t focus on selling just yet. Entertain your audience with interesting facts and viral-worthy pictures. Develop an eye for Instagrammable house shots — whether it be from your listings or you share cool bits from other realtors’ listings. Find vintage bathroom tiles, interesting crown molding, weird wallpaper or a classic chandelier. Photo memories of beautiful architectural features you’ve seen over the years. Maybe a group of favorite staircases, gardens, bathrooms or foyers. Give tips and tricks for (usually, first-time) homeowners. Another budget friendly small kitchen renovation! Here we kept the tile floor and backsplash, added some more base cabinets on either side of the range and painted them a contrasting color, added a new @ikeausa walnut countertop, and replaced the appliances. These changes made a HUGE difference! Add a bit of expert knowledge that future homeowners would greatly appreciate. BONUS BOOST: Collaborate with other local agents to do ongoing Shoutout exchanges. Post a pic of their new listing, or of them, and tag them. Have them reciprocate by DMing them or emailing them your listing. Your goal at this stage is to engage with the new leads you’ve attracted to your Instagram profile and warm them up for a sale. Virtual tours of new listings. 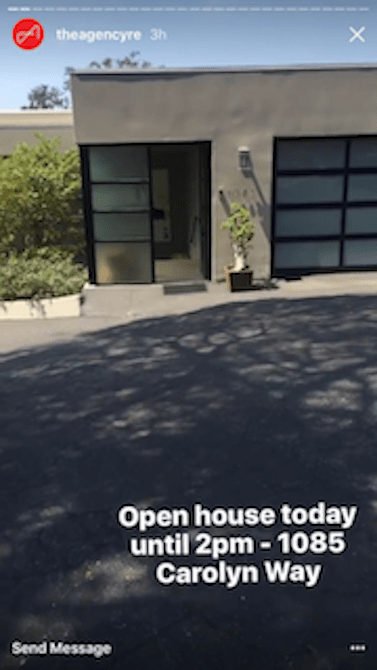 You can post short 60-second videos showing the entire house, and even 360-degree photos. Show behind-the-scenes footage of how to stage a home, the challenges & obstacles you’re dealing with, the process of setting up an open house, and — of course — buyers getting keys to their dream homes. Channel your inner HGTV producer. Pictures of you with your clients and employees — having business lunches, checking out backyards, signing contracts, etc. 🏆Most alcohol at a closing table award goes too… So excited to share all these big moments with such an incredible couple. Congrats on your whole life Steven & Alyssa! At this narrowest point, you’re looking to close some deals and convert warm leads into actual clients. You want them to come out to open houses, initiate buying and selling discussions and let other potential clients know that you’re the right real estate agent for their house needs. Walkthroughs of open houses, making them as welcoming as possible. Add a call-to-action (CTA) inviting people to join you. Before-and-after images of how your clients turned a house into their dream home. Tag them to make them feel appreciated and engaged. Testimonials from real and satisfied clients. Did you know that 62% of online home buyers said they’re likely to contact an agent if they have excellent reviews? Happy Friday! Associate Partner @buywithjosh has lived in Playa del Rey for the past 12 yrs & describes it as a “gateway from the busy city to your own private oasis.” Read more below about his insights on the area & tips on places to visit: . “In 2006, I moved from CA to NY. The 1st apartment I saw was in Playa del Rey, & I rented it on the spot. 7 yrs later, I bought my condo around the corner & have considered myself a PDR local ever since. This sleepy beach town has, up until recently, been one of LA’s best kept secrets 🤫, sometimes referred to as the “Island 🏝 of Playa Del Rey,” surrounded by towering bluffs on the east, Ballona Creek on the north, & @flylaxairport to the south. The town has gone through many changes, originally starting off as swampy marsh in the 1800s, then being developed into a beach resort town in 1920s w/ the grand Hotel del Rey & turning the lagoon into a swimming plunge pool 🏊‍♂️, & finally going “all in” on residential development. W/in the already small area of PDR, there are micro-neighborhoods: the more bohemian Jungle, the ritzy Bluffs, the family friendly Lagoon, & the vibrant Lower Playa, home to some of the greatest dive bars in the city: @theshack_pdr, The Harbor Room, & the famous Prince O’ Whales. Before my wife & I had our son, we were regulars at the POW, & you can still catch us there every so often doing karaoke 🎤. New restaurants & bars are drawing more people to our “island.” @chefbrookew has opened ✌️ restaurants on the main drag of Culver Blvd: @thetripel, a gastropub w/ a fantastic beer list 🍻, & @playaprovisions, which includes 4️⃣ different restaurants w/in 1 building, featuring an open-air patio steps away from the beach. 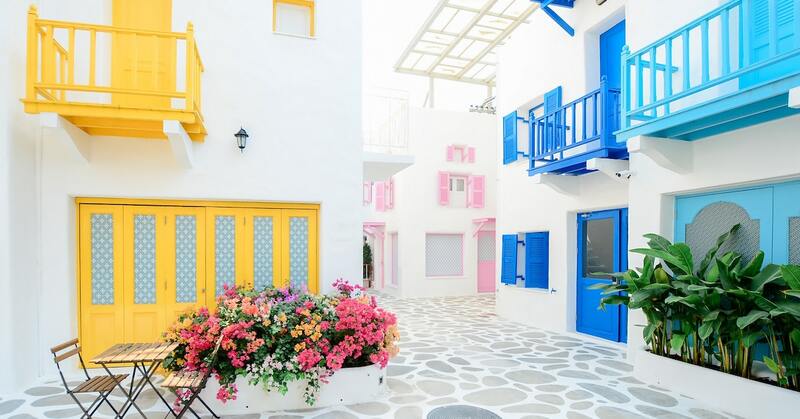 PDR translates to “the beach of the king,” 👑 which is fitting due to its secluded location & unbeatable sunset views 🌅, & I ❤️ that it remains a sleepy beach town.” . PDR is relatively affordable compared to its neighbors Marina del Rey & Venice, but prices are rising 📈. In 2013, I represented the buyer of a condo @ 64000 Pacific Ave (📷 4&5), who purchased it for $757,500. 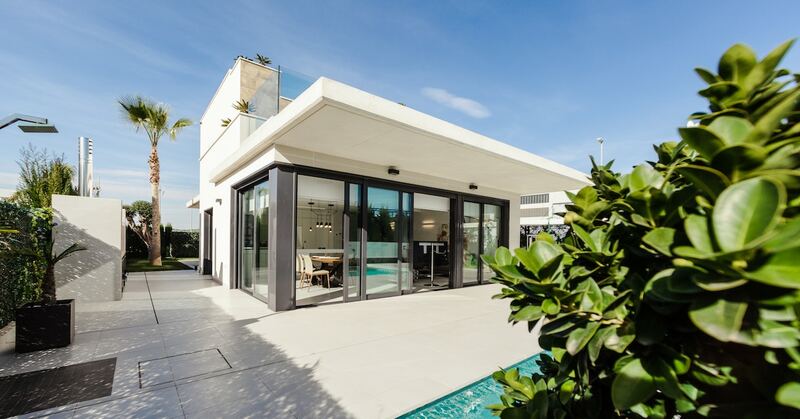 4 yrs later, @keyesrealestatela represented him as the seller, & it sold for $981,000! Include anything that proves your expertise and experience. Properties you’ve sold. Add details of the listings and maybe even a sentence or two about the people who bought it to give a human touch. Hosting influencer events in incredible houses is an excellent way to instantly amp up your Instagram game. Loads of realtors with access to stunning houses are hosting events where they invite top-tier Instagram influencers and lay out a spread to impress them. It’s a simple process (but costly, of course). The influencers then promote the brand and the event with fabulous pictures on Instagram. Their followers quickly (and in huge numbers, usually) flock to check out the realtor’s account. And the ROI is usually through the roof with this process. If you don’t have the budget to host ostentatious events for top-tier influencers, you can simply throw something on a much smaller scale and invite local influencers. Can’t Find Instagram Influencers for Your Brand? Let us do it for you, with this exclusive offer. If you’re serious about leveraging Instagram influencers to grow your business, you’d be crazy not to take us up on this. Each list is customized to your exact requirements. Yes, we actually have a real human being go on Instagram and dig around for these people! Add an Instagram photo booth. Have fun props that prompt people into taking cool pictures. Give influencers a special gift for showing up. Host a great lunch or dinner (try getting sponsored by a local eatery). Create a hashtag for your event. Encourage all participants into using this hashtag when putting up pictures of the event. Have a professional photographer on the job, so that if influencers want, they can use professionally-taken pictures on their Instagram. And make sure you get an epic video of this event to post on Instagram. 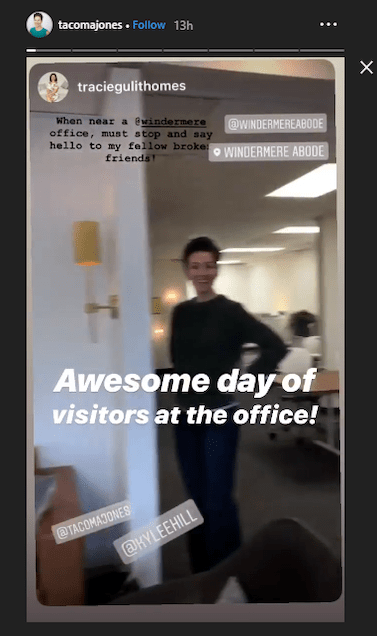 You’ve created a professional connection with your audience through your posts, now it’s time to create a personal connection with them via Instagram Stories. Bring out your inner HGTV host again and use Stories features to make your pictures more personal, by pointing out your favorite spots in house listings with the draw tool, for example. For real estate agents, Stories can be an excellent way not just to keep in touch with your audience and further engage with them, but also to demonstrate your expertise in the business and answer any queries your potential house buyers and sellers may have. Through Stories, you can show all of the features in a house in one cohesive stream. Share tips and tricks for new house-owners. Show a DIY process step-by-step, talk about steps to prepare a home for sale, showcase neighborhoods and highlight local attractions. Share fears or issues and solutions for home-buyers. Maybe even a printable (or screenshot-friendly) checklist for people looking to buy a home. Interview some of your buyers and sellers after closing. Make sure its not scripted and just chat with them about their experience. You want to give authentic vibes. Little by little, you’ll start getting answers and plenty of engagement. Host Q & A frequently. Mortgages, rents, house insurance…? People looking to buy and sell homes have a massive list of burning questions. You have answers to most of those questions. Use this to your advantage, and become the expert everyone flocks to. Hold weekly or monthly Q & A sessions where people can ask you anything related to real estate. Go behind the scenes and take your audience with you. Take pictures of photographers shooting pictures, drones taking aerial shots and stagers adding final touches in preparation for your upcoming listing. Shoot live, virtual open houses. Instagram Live gives an even more personal touch to your Stories, so use it frequently. Use Highlights to save your Stories’ added content. To make sure all your effort and time doesn’t go to waste (after all, Stories vanish in 24 hours), create different Highlights on your profile and add your Story content to them. For example, have a highlight for FAQs, one for virtual open houses, one for client feedback, and so on. This way your stories are saved and available to view at all times. Since your clients are primarily going to be locals in your area, you need to form close ties with other businesses in your local community and have an (unofficial) pact where you show them love on your Instagram and they show you love on their Instagram. This way both businesses get even more local exposure. It also shows potential clients that you’re well-liked in the community and in tune with all the locals’ favorite places. Support new (and old) businesses that pop up in your neighborhood. Be on top of all the new happenings in your town. Did a pizza place open up down the street? Has a favorite ice cream place introduced a new flavor that everyone’s going gaga over? You don’t need to create dedicated posts for them, just a little mention in your Stories can be good enough to make those links between you and what’s popping. Find popular local bloggers and comment on their posts consistently. Build a good, solid relationship with them. Send them special invites to your open houses. Wish them well on their anniversaries, birthdays and so on. Make educated, informed comments on their blog posts that prompt discussion from other commenters. Follow local hashtags so you can find these posts instantly and be among the first to comment on them. Engage with local businesses that you physically interact with frequently. Maybe a local coffee place where you check your email, your library or your favorite pizza joint. Comment on their IG accounts, tag them in your posts (where possible), and engage with them. People following these places will also most probably be locals, so your account will constantly pop up in front of these people, which is also the point. Build partnerships in your niche. Identify best resources for your business (e.g. home decor stores, home stagers, interior designers, brokers, plumbers, electricians, photographers and videographers, etc.) and build online and offline partnerships with them. Not only will it help you someday when you’re short-handed while working on houses, but on Instagram, you can also give shoutouts to each other and build up a massive following. Collaborate with local businesses and run Instagram contests. Giveaways and contests work really well to generate targeted leads. As a realtor, you can collaborate with that really cool diner that everyone loves, and host a giveaway. This way both you and the diner can get some extra Instagram traction. 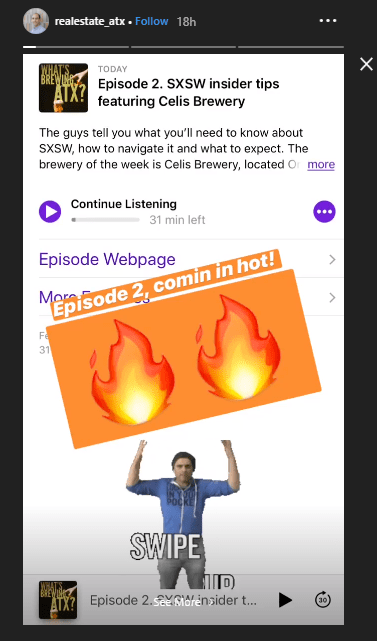 Find popular places in your neighborhood that have an Instagram presence and talk to them about collaborating together on Instagram. You can also run contests and giveaways all by yourself. Ask followers to take a picture in front of their favorite house in the neighborhood, and tag you to enter the giveaway, or something along those lines. You can offer a gift card as a prize, or some concert tickets you can get your hands on, even a night’s stay at a fancy hotel (if you’re super-serious about Instagram and happy to splurge). Contrary to what’s portrayed on the internet, social media isn’t a way to get famous and rich overnight. It requires a lot of hard work, time and persistence. You will deal with setbacks, overnight algorithm changes, and other Instagram hiccups, but if you’re consistent with your efforts to provide amazing value to your followers, you will eventually see stupendous success through this platform. So keep improving your content and trying different Instagram strategies to get the attention of the right people. 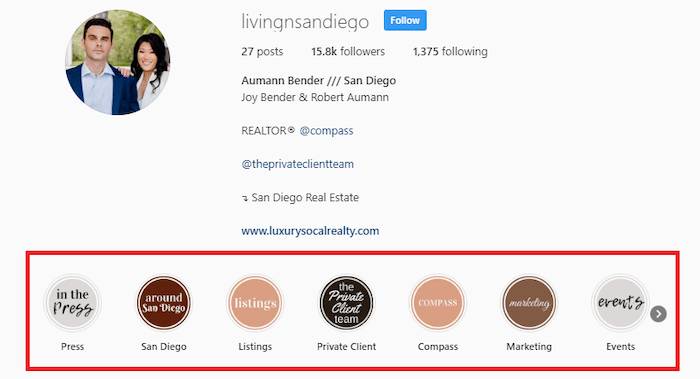 What are your Instagram target markets and engagement goals for your real estate business? Join over 25,000 people who get our latest and greatest Instagram advice straight to their inbox.